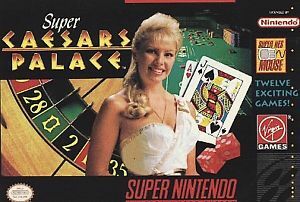 Super Caesars Palace for Super Nintendo includes nine different games. 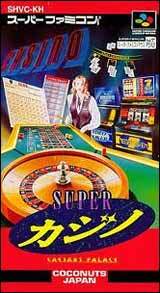 You can spend all day playing Video Poker, Blackjack, Slot Machines, Roulette, Craps, Keno, Red Dog, Horse Racing, and Scratchers. If you find yourself running low on cash, you can access any of the ATMs scattered throughout the vast casino. And if you are hanging out with Lady Luck, you may just find yourself in the VIP Room, where you'll rub shoulders with high-stakes gamblers and maybe even become one!